Getting a free shot at running up winnings doesn't come often, but Tropica Casino has a great St. Patrick's Day promotion coming up that will let you do just that. Free chips are a very important type of online casino promotion for a lot of players because they are essentially chances to win something with no risk of your own. Tropica Casino understands how much players love this type of promotion, and that's why St. Patrick's Day on March 17, 2015 is going to give players a great chance to add a €17 free chip to their account. All you have to do to qualify is have a minimum of €50 in deposits for the year 2015 so far, and it will automatically be added to your account. On top of that, another great promotion is happening in the days leading up to St. Patrick's Day. 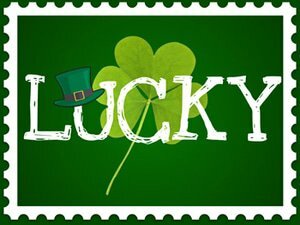 If you wager a total of at least €777 on the Shamrock Isle video slot, you'll be in a drawing for €770 worth of prizes. Ten players are going to win cash prizes worth €77 apiece in this random drawing. If you're looking for other great no deposit bonus offers, then we have a couple you should check out. New players at Play2Win Casino are able to pick up a sweet $22 free chip with their new account when using the 22GRATUITS promo code. This is on top of a 300 percent match bonus that players can earn with their first deposit that is worth as much as $2,222. This deal has a 35x wagering requirement on the bonus and deposit for playing slots. That's not the only deal in town. SupremePlay Casino is giving you a $10 free chip if you use our 10GRAUITS coupon. Your first deposit will also be matched at a rate of 333 percent to give your bankroll a massive boost right off the bat, and that's worth a bonus as high as $888. This deal is also for playing slots, and it has a 40x play-through. All three of these online casinos use the Rival Gaming software which gives players an opportunity to experience some of the best slots and other games you'll be able to find. This includes the exclusive i-Slots line of games that uses interactive storylines that progress as you play.